All of the amazing classic but amp’ed with herbs. 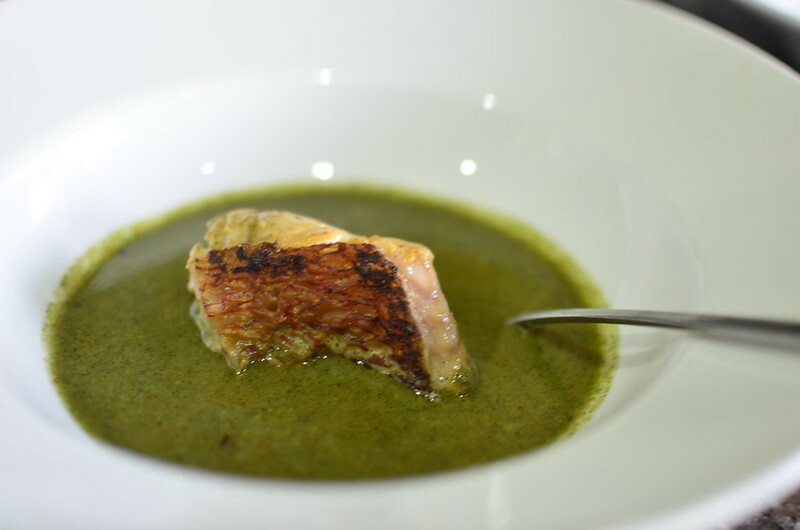 A delicious fish broth, paired with my scent leaf dip to create a broth that’s fragrant and a cross between pepper soup and Thai Tom Yum. 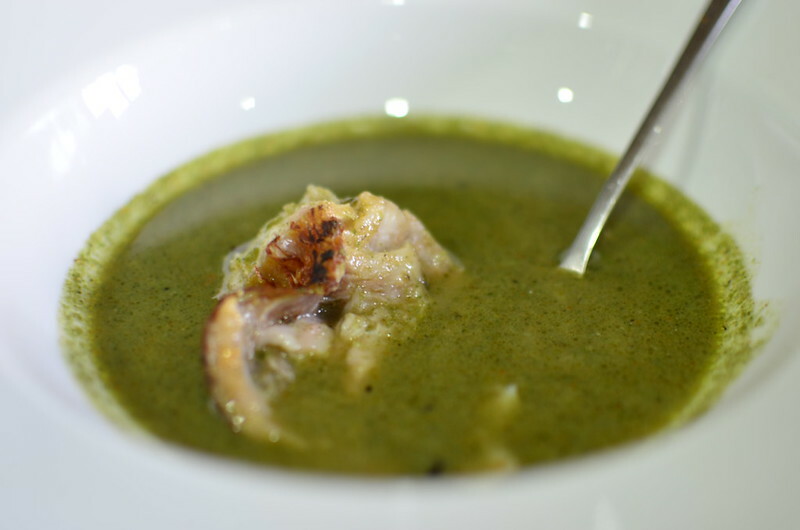 And it starts off quite simple, with the pepper soup. 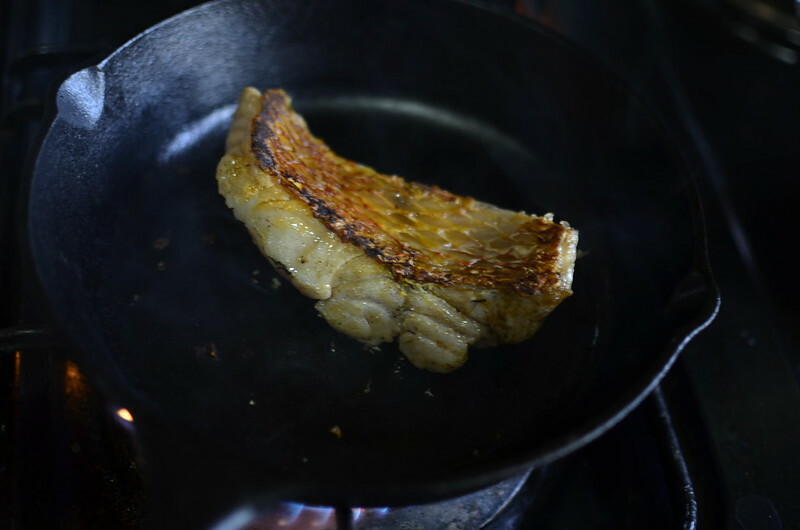 Rather than poach my fish in the broth, I pan-fried it because I wanted a play on textures – crisp skin and soft flesh. It didn’t quite work out but it was worth a try :). 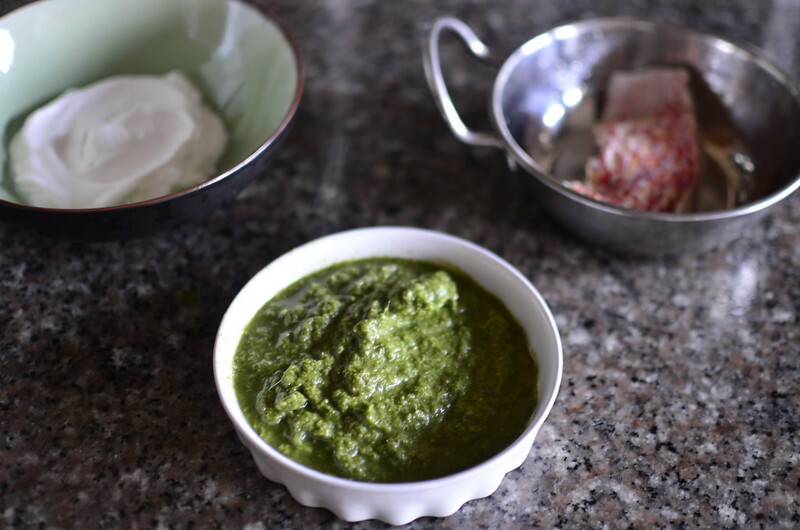 The combination of green and spice produces a world of amazing flavour, if a touch sweet. 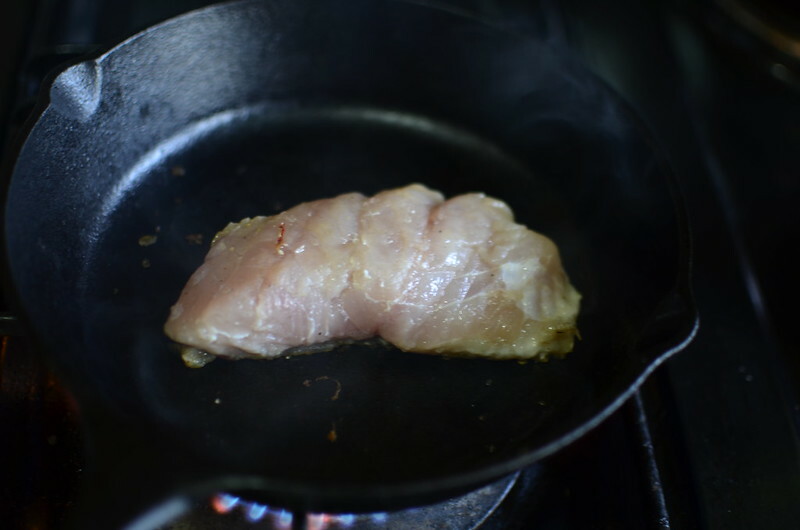 I began in my cast-iron pan by heating up some oil and placing a chunk of red snapper, seasoned lightly with salt and dried red pepper, skin-side down. 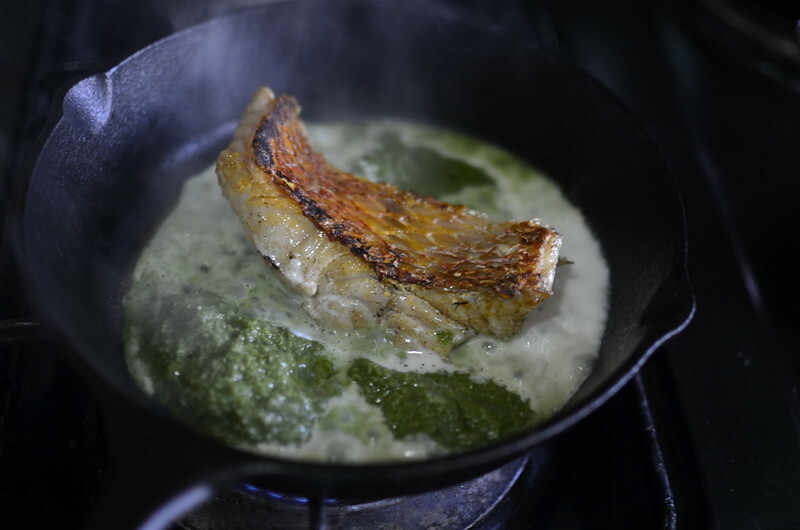 After a few minutes, it had taken on a golden crust, crisp to boot and then I flipped it over. Ever so gently, I added spoonfuls of my scent leaf dip. I wanted to release the oils and fragrance. 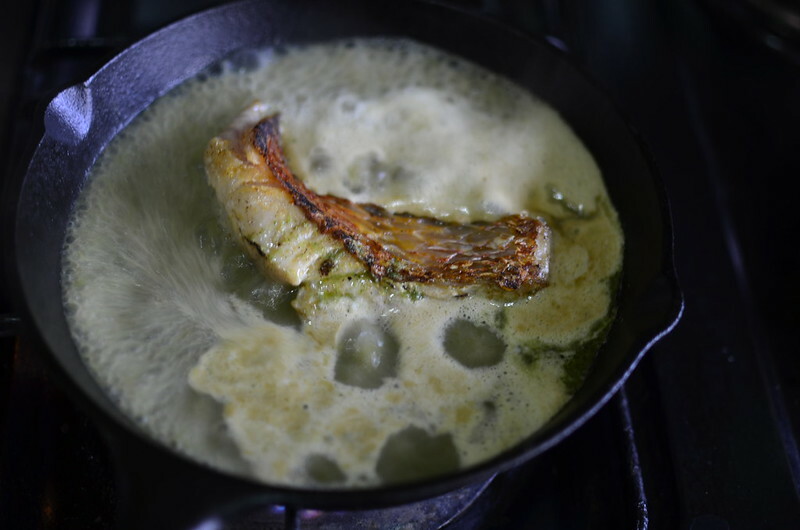 I followed this with a touch of coconut cream and then ladled spoonfuls of pepper soup broth, to cover most of the fish, so it poached in the spiced liquid. I tried to keep the liquid from touching the skin in a futile desire to keep it crisp. I let this simmer for a few minutes, in which time the steam from the broth dampened the skin. Me thinks. 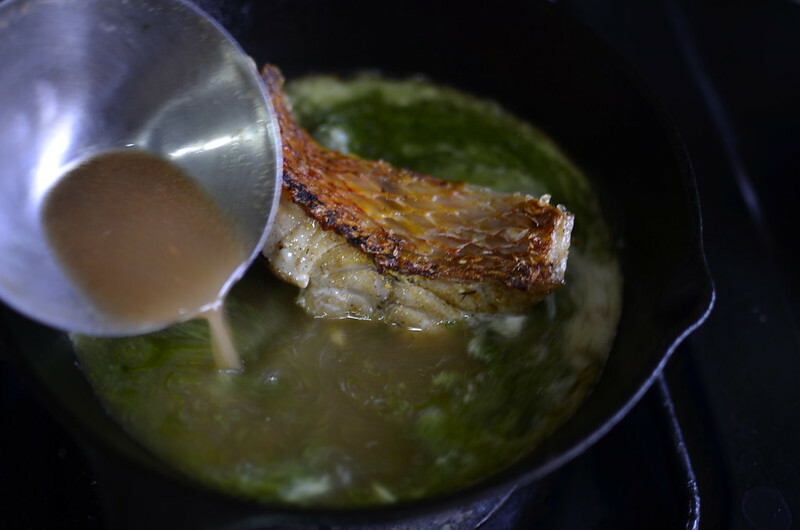 Still, I pulled it off the fire once cooked and enjoyed staring at the vibrant green, fragrant soup. As I’ve mentioned before, it was quite nice – a touch sweet and salty. Nothing a splash of water didn’t correct. However, I’m going to make it again. I’ll remove sugar from the scent leaf dip cause I can’t embrace sweet in my soup… and I’ll hold back from salting till the end. It was nice, a bit rich and some silk on the tongue. Not much but it had more weight than your regular p soup. When next I make it, I’ll pair it with some plantain and yam gnocchi. And enjoy it – comfort food, gone fresh.